One word describes Slick Write — awesome. It has an area where you can paste or type content. The tool checks your text for grammar errors and stylistic mistakes. It identifies all the areas that need improvement. Another great benefit of using this tool is that it ensures you present your thoughts and ideas using active voice. What is more, it generates a readability index that helps you improve your text’s accessibility. Additionally, Slick Write lets you know how frequently you use specific words or phrases. That way, you can avoid overusing words or phrases, making your writing sharper and clearer. And it is free. Whether you are a student, a blogger, a novelist, or an SEO specialist, Slick Write is a highly effective online proofreading tool. Grammarly is quite popular. They have a free version, but you want to upgrade to their premium package. Grammarly allows you to proofread your writing to the type of English your readers speak. Just type your work and then upload it to this tool. Select the kind of English your target audience uses, for example, British, Australian, or American English. Grammarly ensures you never mix up different varieties of English. For example, using favour (British English) instead of favor (the American version). Or labour instead of labor. The result is consistency in language. Also, it highlights all the words and phrases that are erroneous or overused and suggests better choices. Grammarly suggests and prompts you to choose words that sharpen your writing and enhances readability. Additionally, the tool comes with a built-in plagiarism checker that identifies every phrase with similarity to content already existing online. You can easily integrate it with MS Word and use the two tools to correct your work as you write. The tool helps you to improve your writing skills as you edit. All you have got to do is paste your content into the text area. Or click the “write” button and create content. 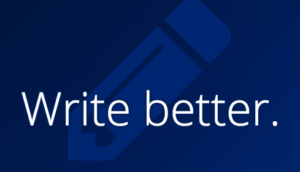 The application provides you with detailed feedback that helps you improve the quality of your writing. Hemmingway Editor highlights text using different colors depending on the kind of mistakes identified. The tool allows you to quickly see all the areas where you need to put in some effort. It prompts you to split sentences that seem too lengthy or complex. Also, it shows you places where you have used passive voice. Finally, this online tool features a toolbar that supports text formatting. 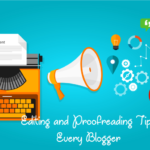 Best Editing & proofreading is not a tool. It is an online service that allows you to leverage the expertise of seasoned proofreading and editing professionals. Best Editing & Proofreading receives your document and assigns the proofreading task to an expert best suited for the work. These professionals scrutinize your paper with a fine-tooth comb, noting all the mistakes and correcting them. The service can save you a lot of time. It also helps you improve your productivity. You can focus on your subject matter and stop worrying about what these professionals can help you handle. The beauty of Best Editing & Proofreading is that you have a highly skilled human proofreader fine-tune your content. Well, the service is not free. They charge 22 dollars a page to proofread doctoral-level work where the “urgency” is 14 days. That is more or less like the average market price for proofreading documents at that study level. They can finish the job in as little as six hours, but the prices can get quite steep. It is best to place your order soonest you can. WhiteSmoke helps you accomplish much more than correcting simple spelling mistakes. Your word processor can help you locate and handle such errors. But when it comes to major issues like grammar, word choices, and style mistakes, you want to use WhiteSmoke. WhiteSmoke designs its products based on natural language processing technology. The technology features unique algorithms and artificial intelligence best suited for text analysis. WhiteSmoke is one of the most preferred English writing tools on the market. Its linguistic capabilities set it apart from its peers. That is the reason some of the largest educational firms around the world prefer it over many others. Whether you are writing a term paper, a cover letter or a resume, WhiteSmoke is the tool you need. Just like Boom Proofreading, U.K. writings is not a tool but a proofreading service. Technology continually produces proofreading tools with terrific capabilities that help writers perfect their craft. That said, using such resources may not always be the most effective approach to the proofreading process. Human editors possess certain skills and abilities that make them a great option. The only reason some people do not hire them is that they think they are obscenely expensive. But that is not true. From as low as 11 dollars a page and an “urgency” requirement of 14 days, you can enjoy their services. U.K. Writings is an academic writing company that also provides proofreading services. Their editors are highly experienced professionals with advanced degrees from some of the best U.K. universities and colleges. 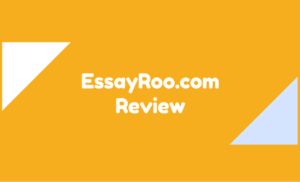 Essayroo.com is another reliable proofreading service that helps authors to perfect their writing. While they can handle all kinds of writing and proofreading work, the company mostly serves college students and academics all over the world. The service seems to be a favorite for Aussie college students. When you need to have a keen pair of experienced eyes scrutinize your paper before you hand it in, consider contacting Essayroo.com. A look at their site reveals that a lot of their customers are happy with them. They must be doing something right. The service is ideal for people with college-level writing assignments or those with masters and doctoral-level writing projects to complete. Their editors are specialists in various subjects and disciplines. There is a certain level of expertise that comes with handling the same type of work for years. Readability formulas is all about improving the readability index of your work. Readability is a qualitative term that refers to how easy others can read and understand your writing. Usually, the lower the index, the better. You do not want to present or publish a convoluted piece of writing that no one understands. Several online tools that help you achieve the right readability index are available on the market. And Readability Formulas is one of the best. Readability Formulas provides writers with an automatic readability checker. Just paste in a sample piece of writing — typically 200 – 600 words and click “CHECK TEXT READBALITY.” If your text is extensive, say a book or a dissertation, you should select samples from each chapter. However, your sample should not exceed 3,000 words. The tool calculates the number of words, characters, syllables, and sentences in your sample. It then plugs the results into various readability formulas. These formulas generate and indicate your writing’s grade level. The lowest grade is one, and the highest is eight. Use this tool to make your work more accessible. After the Deadline is a web-based language checker that features terrific capabilities. It supports contextual spell checking, advanced style checking, and intelligent grammar checking. The tool uses artificial intelligence and natural language processing technology to find all the mistakes in your writing. It then offers smart suggestions that help you improve the overall quality of your paper or document. It is free for personal use, and it is highly effective. The tool is available on WordPress.com. You can also find it in libraries, add-ons, plugins, and extensions for various platforms. After the Deadline enables you not only to write better but also spend less time editing and proofreading. It does seem subjective, but a lot of people will judge you based on impressions formed within seconds. The way you write determines how others view you. High-quality writing leads others to believe you are smart and capable. Bad grammar and the presence of spelling and punctuation mistakes in your work can make you lose credibility. It is possible some job seekers have missed amazing opportunities just because they wrote their resume or cover letter in poor English. You should not suffer that fate when there are all these online proofreading tools. Install your choice and make your work shine. You may want to experiment with several of them before you decide which one to choose. There is no excuse for terrible writing in this day and age, is there?